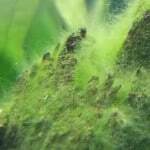 Algae of one form or another will almost always be in an aquarium, but it can usually be well controlled with a few simple steps. Most commonly it is caused by excessive nitrates and/or phosphates in the water, incorrect lighting, an accumulation of waste products, or poor water circulation/filtration. Frequent water changes will reduce the level of nitrates and phosphates, but to what extent will not be known without frequent water testing for these substances. Incorrect lighting ranges from too little to too much. 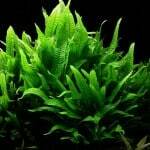 Too little and live plants will not be able to synthesize nitrates and phosphates properly allowing them to accumulate and feed the algae. Brown algae is one sign of low lighting and/or poor water circulation. Too much light or of too long a duration will often cause green algae of different types if nitrates and phosphates in sufficient quantities are present. 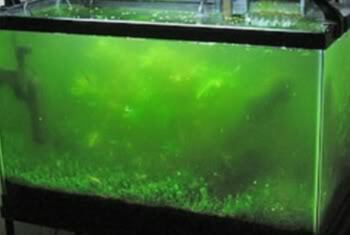 Sunlight will cause a myriad of different algae types to grow ranging from brown to green, and if intense enough will also cause aquarium water to turn green. Aquariums do better if placed away from windows or areas of direct sunlight. 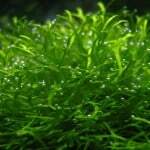 Algae in large quantities acts just like aquarium plants. 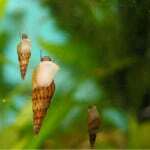 They require light and nutrients and create oxygen during the day, but at night, with no light present they consume oxygen and create carbon dioxide which can have a negative effect on aquarium inhabitants. The only thing worse, algae wise, than green water, is when there is green water and all of a sudden the algae dies, and pollutes the aquarium! Aquarium lighting, if sufficient intensity, should be on for 10-12 hours a day in a planted tank, and less in a non-planted tank. Too much green algae and lighting duration normally needs to be reduced. Too much brown algae and lighting intensity and/or duration needs to be increased. Excessive waste products can cause algae growth so make sure you are keeping your filter clean, and vacuuming the aquarium substrate when doing water changes. You are changing a percentage of your aquarium water on a regular basis aren’t you? 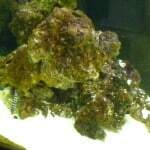 See how do I change my aquarium water. Catfish, “scavengers”, plecostomus, and dedicated algae eaters can all help keep algae under control by keeping the substrate aerated and eating fish food that makes its way to the bottom. Keeping your aquarium spotless and 100% free of algae is not important, but keeping algae under control and at an acceptable level should be the goal.